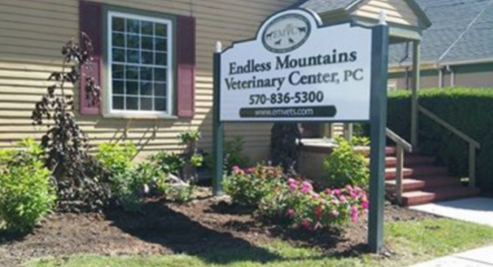 Our Tunkhannock location started in August 2015. At our Tunkhannock location we offer a full spectrum of veterinary medical care for all your pets, including (but not limited to) Laser Therapy, digital radiography, dental radiography, in-house blood chemistry analysis, surgical procedures, complete dental prophylaxis including root canals, extractions, gum resection, ultrasonic scaling and fluoride treatment. We also offer camera guided, deep ear flushing, treatment, biopsy and caughtery. You may also stop in and discuss our line of homeopathic behavioral supplements, anxiety and training aids. We also offer grooming services 2 days per week. Quality Veterinary Care - for all your needs.